Celeste is half-Dutch, half-Italian and first came to Greece some 20 years ago to work as a tour guide in Crete. She followed an education in Tourism and studied Spanish and Cultural Studies at the University of Amsterdam. For her thesis, she researched the foreign Cultural and Archaeological schools. She worked at the Dutch Institute in Athens where she organized an educational program, co-wrote a book, an article and finally decided to stay in Greece. She worked in PR & Hospitality during the Athens 2004 Olympic Games and 6 more years in Coca-Cola Hellenic. She travelled extensively for both business and pleasure around Greece and Europe. After the birth of daughters (6 and 3 years old), Celeste decides to be a full time mother. She spends most of her time on finding and enjoying family activities, family friendly restaurants and vacations and excursions. Celeste has many interests and likes change. Her hobbies include: crafts, food and wine, the beach, reading, the arts, museums and to be active outdoors. Celeste loves swimming in the sea, long walks in nature and participated in the 2014 Athens Marathon for Family Goes Out. CT: It is about (my) family outings, activities and holidays in Athens and Greece. Activities can be adventure parks but also exploring nature, art classes, museums, restaurants, beaches, traditional local events etc. Besides kids-friendly, I focus on family friendly. I found that a lot of places are nice for children, but not for parents. The same goes for hotels. When my second child was a newborn baby, we all desperately needed a holiday. I found a resort hotel that was very child friendly and at the same time the kind of place that I would go even without children. My husband and I were able to still have a beautiful dinner and enjoy our drinks in the evening whilst our children were safe and happy too. I want to find more of such places were both parents and children can spend quality time together. 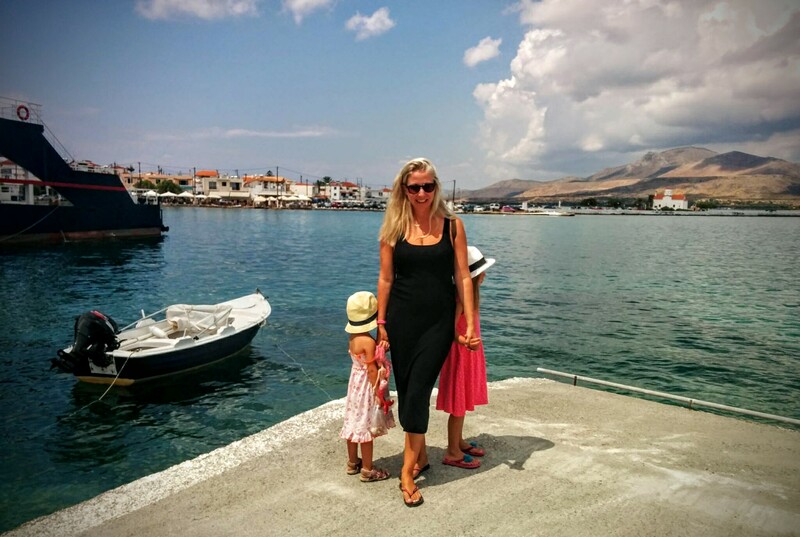 I believe that Athens – and Greece in general – are ideal for family outings and activities. The weather, the food, the nature, the landscapes, the beaches and the sea, the history…I don’t like seeing children with tablet and ipads in their free time. I want them to explore. I also wanted to share the low budget and eco friendly outings that I had found. CT: I am a new blogger myself and do not feel that I am yet ready to advice others. What I did notice is that post with my personal family photo’s are the most popular. CT: For Greece: I have visited most of the Greek islands but not Amorgos, Folegandros and Symi. They will be part of a future trip. For the world: Egypt. I have been to the pyramids in South America but never the ones closer to home.